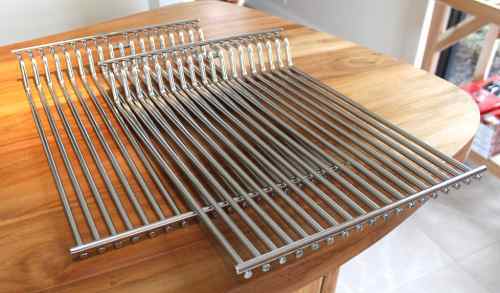 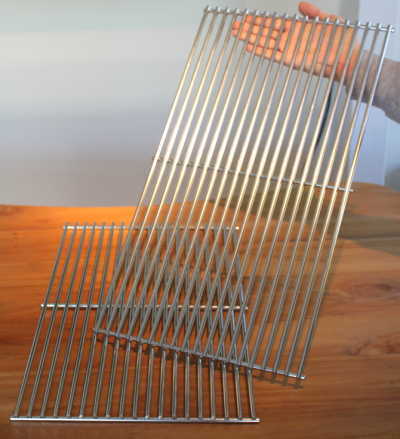 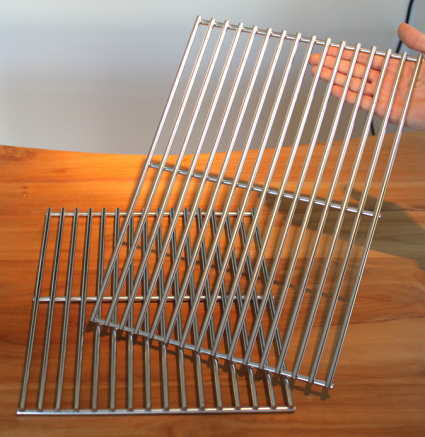 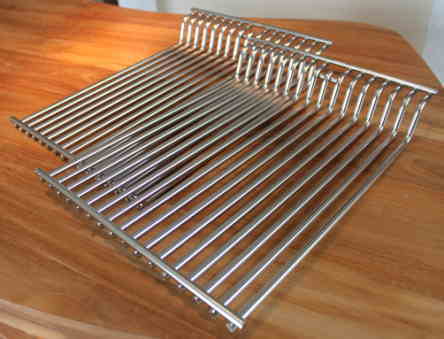 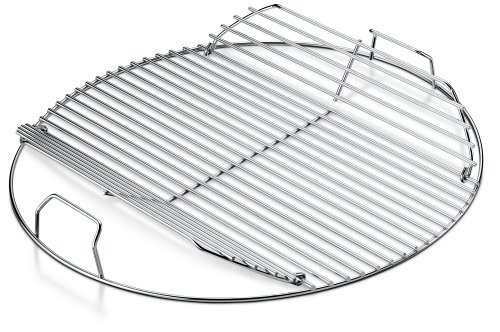 Stamped stainless steel 3 piece "Infrared" cooking grate set. 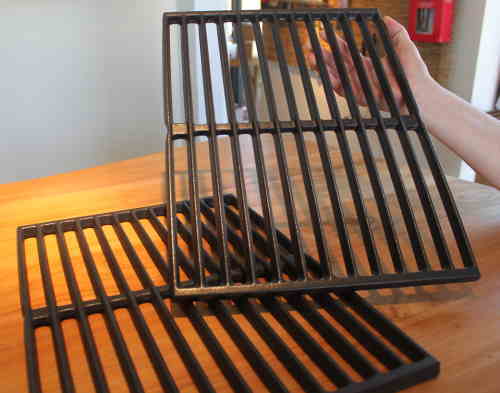 Includes 3 grate sections. 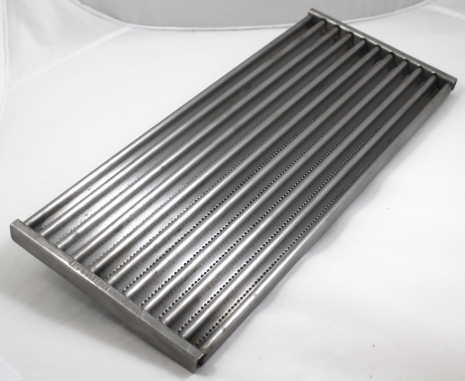 Each section measures 8-3/4" wide X 18-3/8" front to back. 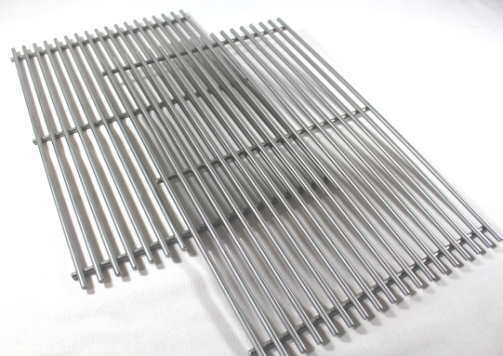 Total set width is 26-1/4". 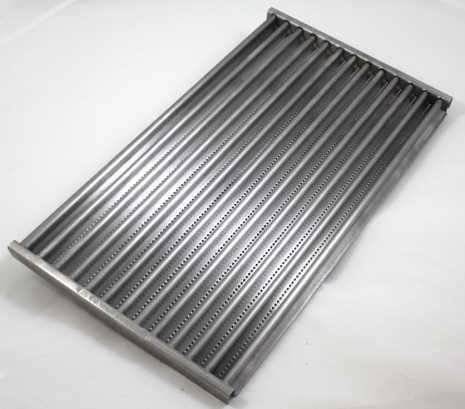 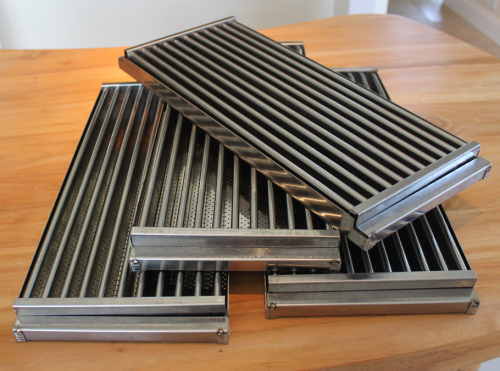 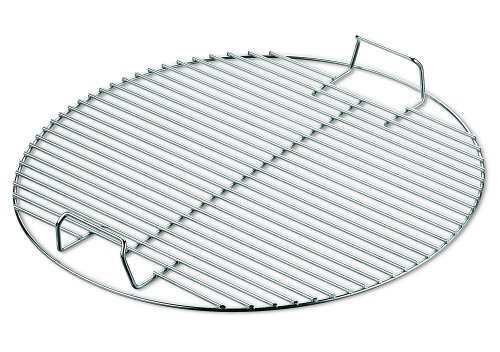 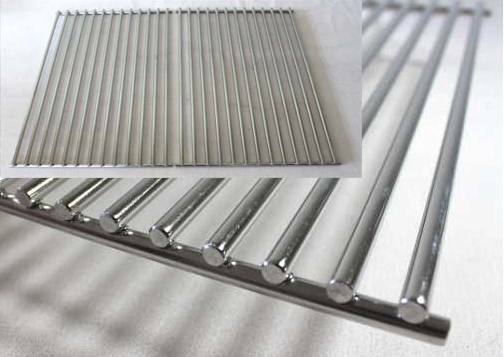 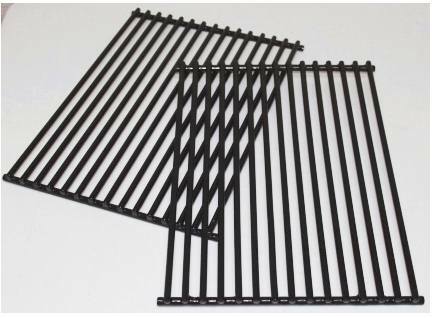 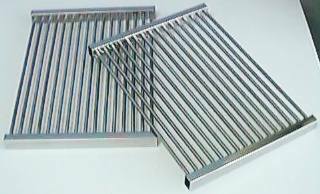 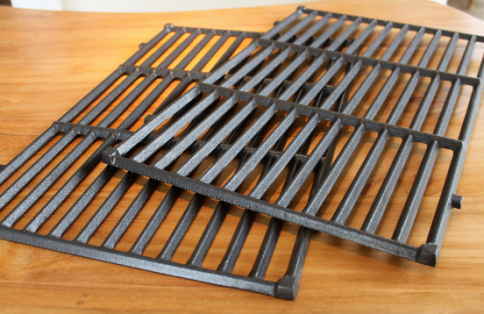 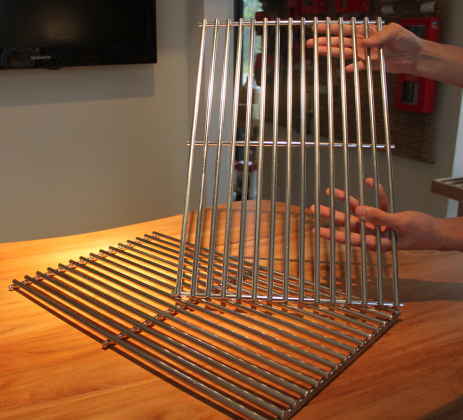 These grates feature "slotted" grease drain holes for improved performance.